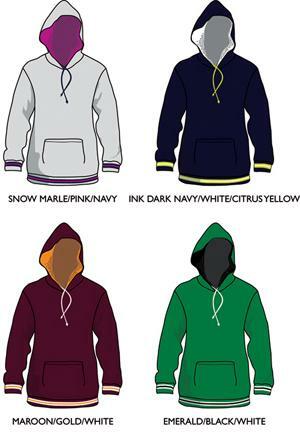 Hoodies made to order in Australia. 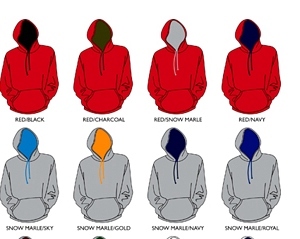 Select your own colour combination for body, inside the hood, drawstring, cuffs and waistband. Australian 'super' fleecy is a top quality 290 gram with thick inside 'brushing'. 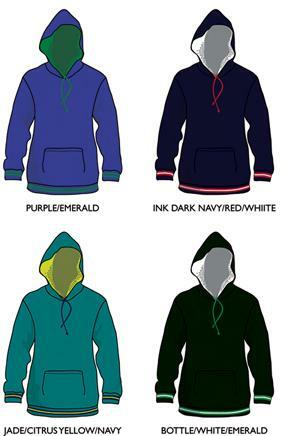 Special Order Hoodies by Pine Creek Australia. 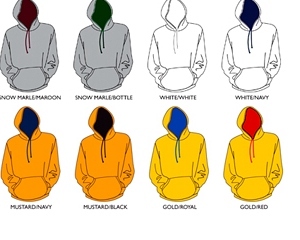 Select your own colour combination for body, inside the hood, drawstring, cuffs and waistband. 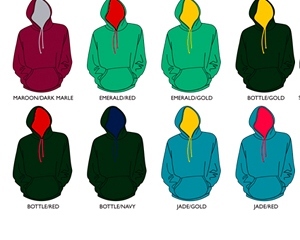 Sports Grey, Maroon, Emerald, Bottle Aussie Green, Jade, Mustard, Gold, Red, White. 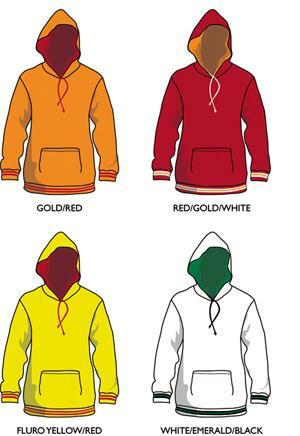 Extra Small, Small, Medium, Large, XL, XXL, 3XL. Order 50 pcs for special order service. Made to order in your choice of corporate, team and school colours. Australian made fabric. 290 gram thick super fleecy. Low pill yarn means higher resistance to pilling in use. These prices include the custom order cuffs and waistband. If special order cuffs and waistband are not required then deduct $10.00 per garment. We will help you with a Quote based on your logo requirements. As a guide these are the standard prices. Initial Program Set Up is $90.00 + 10% GST which includes a sample of your logo prior to production. 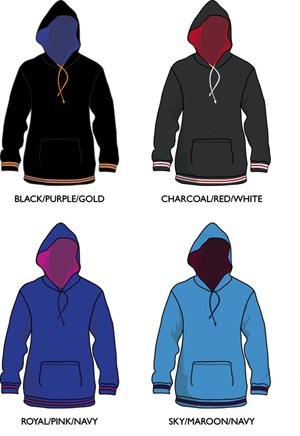 Prices are based on standard size logo. 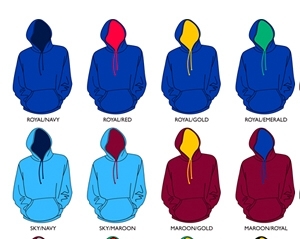 Your logo can also be used on Polo's, Hats and Caps, Jackets etc. Normally 4 weeks for custom orders or please advise your deadline and we will try to assist you.